La Vallée Village, is only located an hour from Paris, and is a superb outlet shopping mekka. Here you can enjoy dream prices at over 90 renowned designer outlets including Armani, Burberry, Calvin Klein, Cerruti, D&G, Diane von Fursteberg, Givenchy, Kenzo, Max Mara, Nike, Paul Smith, Ralph Lauren, Tommy Hilfiger, Valentino, Versace and many more. 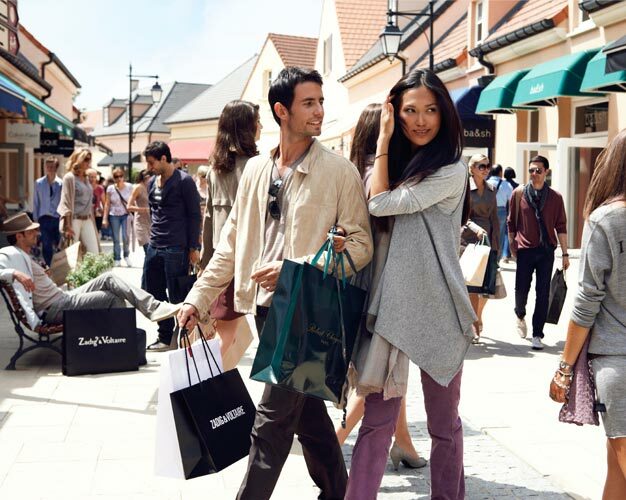 At La Vallée Village Outlet Shopping you can shop to you drop, save a lot of money, and maybe make the buy of your life? Visit La Vallée Village for more information here! - The tour begins and ends at CityRama, 2 Rue Des Pyramides, 75001 Paris. Daily at 10 AM or 1:30 PM.